This is the first Led Zeppelin song I ever heard. Or at least the first Led Zeppelin song I ever heard that I subsequently knew was by Led Zeppelin. 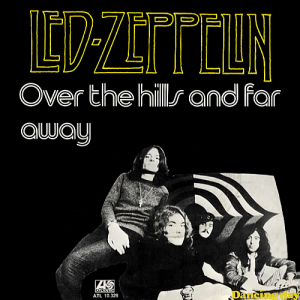 Released as a single, “Over The Hills and Far Away” got a lot of airplay on KYNO-AM during the exact moment when I was becoming a pop music fanatic, so it’s one of those songs that I memorized by heart as a kid, only to fully discover as an adult that it had dozens of layers I’d completely missed.